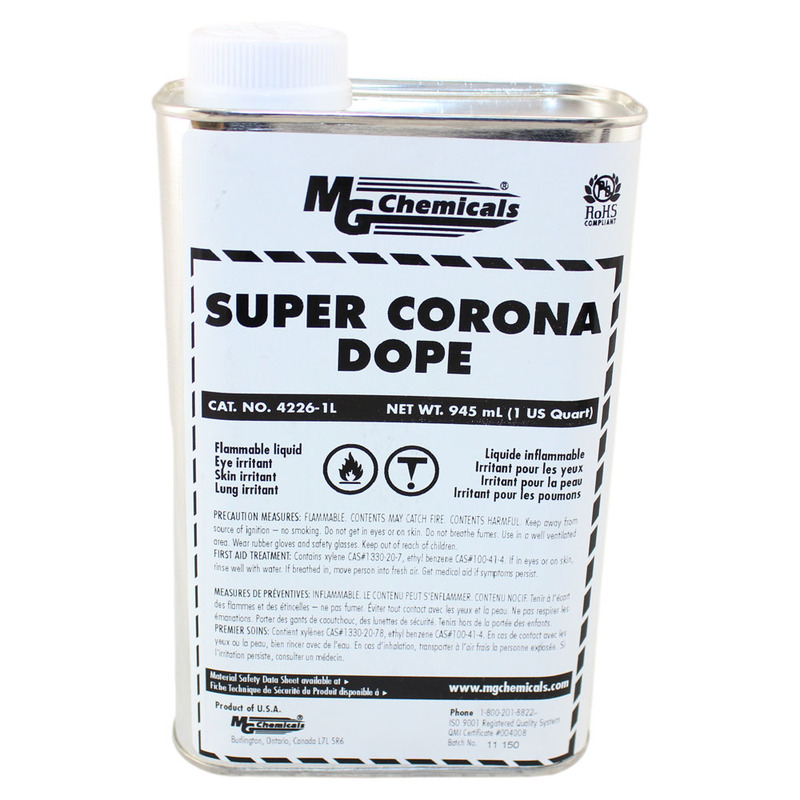 This product contains toxic or flammable chemicals and must be shipped by ground. 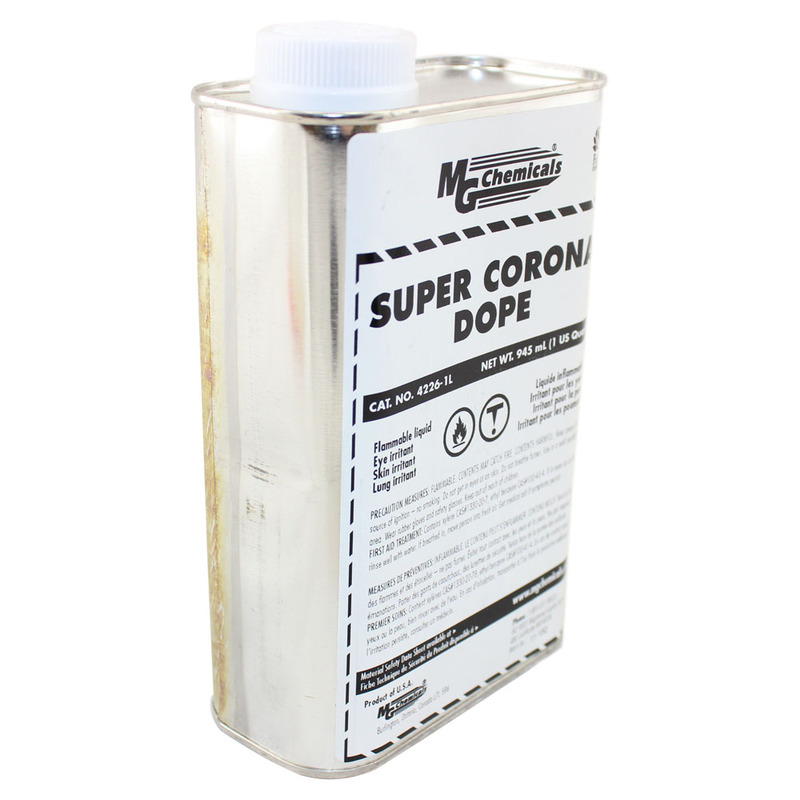 Super Corona Dope can insulate components form the corna effect often found in high voltage circuits. * Please note that all aerosol cans and Toxic/Flammable chemicals can be shipped by GROUND carriers only!